This Direct Assessement is exclusively for those who are already experienced powerboaters, but do not yet have their RYA National PowerBoat Certificate (Coastal/Tidal) Level 2 Photo-I.D. Certificate, and do not want to attend the standard 2-Day Continually-Assessed Training Course (No Exam Needed). It is a straight-forward direct-assessment, and up to 3 persons can be assessed at the same time. It is largely practical, but with some theory, and everything that will be asked of you - including the practical exercises, is published and provided to you in advance. The assessor is not out to 'trick' you or make it difficult for you to pass - he/she only needs to see that you are confident and competent to the national standards as set out in the Level 2 Syllabus. Candidates are expected to show that they understand the principles of each manoeuvre, and that behind the relevant theory. Failure to successfully complete a manoeuvre at the first attempt will not necessarily result in overall failure - but a timely awareness of the need to abort an exercise and try again is important. The direct-assessment will take between 3-8 hours, depending on the number of persons attending, and the conditions. You will not be asked to undertake the assessment in conditions of wind or tide which exceed the expected abilities of a Level 2 Holder. No part of the Level 2 Direct-Assessment will take place during hours of darkness. It is strongly advised to obtain the RYA PowerBoat Handbook G13, and the RYA PowerBoat Syllabus & Logbook G20. 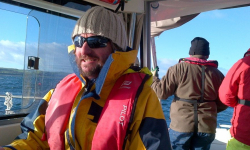 If you want to learn to skipper a powerboat, and take charge safely on passages with friends and family, or be able to hire a powerboat in the UK or abroad, you will need the 2-Day RYA PowerBoat Level 2 (Coastal/Tidal) Course - you get the same Photo-I.D. Certificate, and you don't need to do this direct exam - this will be the most appropriate option for most people. The new Photo-I.D. style licence certificate for the National PowerBoat Certificate was introduced in 2011, and registered centrally on the RYA National Database - you need to bring a passport-sized photo with you. You can use this certificate to hire powerboats worldwide, acquire the ICC International Certificate of Competence and even get it Commercially Endorsed to allow the holder to legally work as a powerboat skipper. Most insurance companies also accept this as evidence of competence if you want to own a powerboat. These Direct Assessments are run every week and weekend. 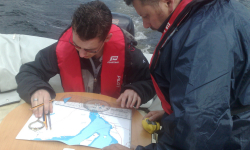 Full 2 Days RYA PowerBoat Level 2 Course - £249pp! Only £49 Deposit to Secure a Space, With Balances Due 28-Days Prior to Sailing. 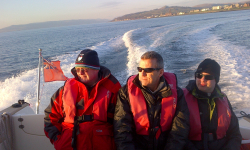 It's Just £49 Deposit to reserve a place on any RYA PowerBoat Level 2 (Coastal/Tidal) Course with ScotSail® - it's 2 Days (Sat/Suns or Mid-Week Days) inc RYA Tuition, Certification, All Safety Equipment, Lunch/Refreshments PowerBoat Handbook and Much More. The Level 2 (Coastal/Tidal) Photo-I.D. Licence can be used to hire powerboats, is accepted by insurance companies and can even be Commercially Endorsed to work on powerboats. 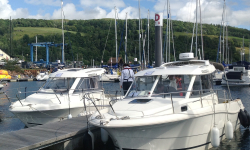 Our modern powerboats depart every week and weekend, with our experienced RYA PowerBoat Instructors and up to three people (individuals, couples & families), on-board. Each day is spent engaged in exercises whilst travelling to different locations. 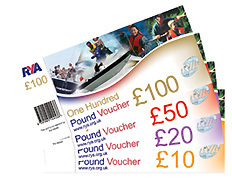 More 2013 PowerBoat WebDeals™ Announced for 2 Day RYA Courses!